President/ R&D Director/ Educator and Owner at The ACADEMY of HIRUDOTHERAPY Las Vegas, NV since 2010. Ms. Alicja Bibikow-Kolyszko has been involved in non-invasive hirudotherapy, biotherapy with medicinal leeches, for over a decade now. She is a precursor and creator of non-invasive hirudotherapy status in the USA; without Alicja's passion for medicinal leeches and her devotion to help others, we would not see the expansion of non-invasive Hirudotherapy Centers throughout the USA. With ten years spent in academia settings in native Poland, during the political turmoil in Europe (1980), Alicja Bibikow-Kolyszko departed from old country and followed her ancestors to the United States, settling in 1980 in New York and one year later in Minneapolis, MN. The proficiency in three foreign languages and MA in Linguistics from Jagiellonian University in Krakow, Poland did not satisfied Alicja's ambitions in the new country. Always helping others, from education she turned into conventional medicine settings. The following twenty years were devoted to broadening her education, working in private & public sector of general medicine health care (Metropolitan Medical Center, Hennepin Medical Center in Minneapolis, MN) and entrepreneurial management. Over the years, Kolyszko, disappointed with mainstream conventional medicine, turned her career toward complementary and alternative venues. The integration of conventional medicine with alternative medicine and the osteopathic approach of the human body became her main focus of study, along with intensive clinical practices in hirudotherapy in the United States and Europe. The total fascination about biotherapy with medicinal leeches and the results far surpassed expectations, made Alicja's search for a pharmaceutical drugs-free life complete. As soon as the FDA approved medicinal leeches in June of 2004 she established official private practice and consulting services in alternative drugless medicine, in 2004, under V.A.N.A.M. Universal. Inc. in Minneapolis, MN. Kolyszko's passion for leeches, however, was a bit "squeamish" for others. It became a process, then, for Alicja as she began to share her knowledge and findings with her clientele, allowing them to embrace the alternative hirudotherapy based option in regards to their well-being and future health. It was ultimately in 2010 that the development and implementation of the Academy of Hirudotherapy seemed to be a natural transition for her, a step upward on the ladder of Alicja Kolyszko's professional achievements. & non-invasive hirudotherapy, while maintaining the highest model of professionalism, education and osteopathic approach towards human body amongst its students and graduates. Despite the fact that most of Kolyszko's students come to the Academy of Hirudotherapy with a solid medical background, it does not make her job easier to transform the Western medicine allopathic stereotypes and habits of many, into the harmony of osteopathic hirudotherapy process and accustom to the hirudo-acupuncture and Ayurveda elements. 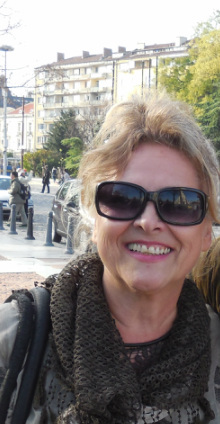 Based on her years of hirudotherapy experiences, Alicja Kolyszko develops and supervises individual case studies for her students. Moreover, she shares clinical development, rigorously preparing them to build solid, evidence-based clinical practices in non-invasive hirudotherapy in the future.